Have you ever wondered what the employment statistics in U.S. News and World Report actually mean? Where do the mysterious numbers come from? Are they based in fact? Are they at all accurate? The answers to these and other employment statistics questions are now available online in an easy-to-use source: Law Jobs: By the Numbers, compiled and published by the University of Denver School of Law’s Institute for the Advancement of the American Legal System (IAALS). Law Jobs demystifies the formulas used by U.S. News and World Report and a handful of other organizations that rank based on employment data. It further allows users to compare and contrast the job numbers from all these sources and to create your own formula based on the factors important to you. The U.S. News employment numbers are therefore useful to people interested in the percentage of graduates employed in long-term, full-time licensed attorney jobs or in which an applicant with a JD is somehow advantaged over an applicant without a JD. This formula may be over-inclusive if a person looking at the job numbers doesn’t believe that a person with a JD should work as anything other than a licensed attorney. A person interested only in employment numbers for attorneys is full-time, long-term jobs, might want to review the statistics from Law School Transparency instead. The LST formula divides full-time long term bar passage required jobs excluding solo attorneys by the total number of graduates. Lastly, users can create their own formulas based on factors important to them. Looking at all US law school graduates, I created a formula that really focused on individuals employed in licensed attorney or JD advantaged positions, giving twice as much weight to the licensed attorney jobs. When eliminating the solo attorneys and the law school funded positions, employment for new attorneys was only 42%. Unfortunately the numbers in the Law Jobs Calculator are based on the ABA’s Employment Summary Report, which are self-reported by the schools. How much you trust the numbers is up to you. Law Jobs is great at demystifying law school employment statistics and it can provide hours of fun playing around with various formulas. But as with any other ranking system, apply the results with caution. Last Thursday, October 17, SCOTUSblog.com revealed its first app, available through the App Store for free. After downloading and playing with the app and comparing it to both the mobile and the full website on my phone, I decided the app left much to be desired. Let’s just hope that the promise of regular new features and improvements made by the blog’s deputy manager comes true. The homepage of the app is recognizable to SCOTUSblog readers: the newest post appears at the top and is truncated, as are all posts that follow. This, of course, allows you to easily see short bits of the latest posts without having to scroll through an entire blog post. The posts are organized chronologically; tapping on one of the posts leads you to its full text. Within the full text (albeit not within the short form) are hyperlinks to the various documents discussed in the post’s text. Tapping on the menu icon on the top left of the app reveals the menu bar; there’s also a search box at the top. Menu items include Home and a few familiar SCOTUSblog categories: Featured, Round-Up, and Breaking News. Frankly, I was rather disappointed with the app, especially when comparing it with the mobile site (or even the full website) already in existence. Switching from the home page in the app to a different section, such as the featured posts, was quite slow (nearly as slow as the mobile site). The app is incredibly pared down when contrasted with either the mobile site or the full site: the app is essentially limited to blog posts. Missing is everything else that makes SCOTUSblog so cool: the statistics, the special features, the list of upcoming major cases, and my favorite content, namely the Plain English section, and the calendar and Term Snapshot that appear on the homepage (of the full website) of the blog. The app has one additional feature not available on the full website or the mobile site, plus one feature that is slightly more convenient than on the full website, and one feature that is incredibly inconvenient when compared with either the mobile site or the website. SCOTUSblog touted one extra benefit available on the app: the ability to receive push notifications from the app when new posts are added or when a major event happens at the Court (presumably when opinions are released or when other such breaking news occurs). That’s pretty cool, but the excitement from receiving a push notification from SCOTUSblog’s app is noticeably diminished when, ten seconds later, Feedly (or any other RSS reader app you have on your phone) pushes you the same notification. Both the possibly convenient feature and the inconvenient feature of the app involve social media. First, SCOTUSblog’s Twitter feed is slightly easier to access on the app than on either the mobile or full website. In the app’s menu, one simply need click on “Twitter” to be sent to the blog’s Twitter feed, rather than scrolling down to the middle of the blog’s full website and clicking on “follow” (a bit annoying); or conducting a cumbersome search on the mobile website for Twitter (quite annoying). Interestingly, the app links you to only one of the blog’s Twitter feeds, @SCOTUSblog, presumably because of the greater number of followers (@SCOTUSblog, which includes tweets from the staff of SCOTUSblog, has 143,000 followers, while its cousin @SCOTUSblogposts, which only notifies followers when a blog post has posted, has a mere 4,000 followers). Second, the ease of sharing is vastly better on either the full website or the mobile website than through the app. Astonishingly, the app only allows you to share a blog post via SMS message or email. On either the mobile site or the full website, Safari’s internal share feature offers a plethora of options from Twitter and Facebook to Weibo. When on the full website, you can directly share a blog post on Facebook, Twitter, or email, or via a sharing widgit (which offers, in addition to the traditional Facebook and Twitter, StumbleUpon, LinkedIn, and dozens of others), so long as you zoom in your phone’s screen sufficiently far to click on the appropriate button. Bottom line: download the app if you want to get push notifications from SCOTUSblog on your phone’s home screen. Otherwise, stick to the mobile site or the full website, even when on your phone. And keep an eye out for those promised improvements. 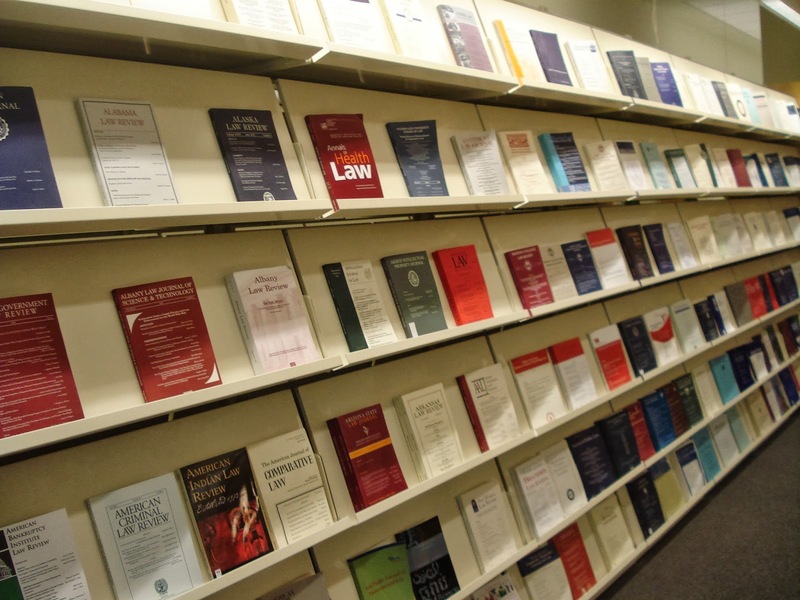 Speaking of Law Reviews... Use the Current Index to Legal Periodicals to Keep Up! One problem with the American law journal system is that each law school's flagship (general) law review contains articles on such a wide ranging number of topics that it would be impossible for one person to keep on top of the new articles in their specific area of study or practice. Think about it: there are 203 ABA approved or provisionally approved law schools in the United States. Each of these 203 schools has a flagship law review, such as our own Washington Law Review. If each journal publishes even two issues per year, containing ten articles per issue, that's over 4,000 articles to sift through to find a few written about your area of the law. And this leaves out the fact that some law schools have as many as twelve specialized journals. How on earth are you going to keep up? 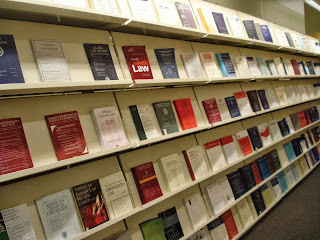 You are in luck because the Gallagher Law Library has a solution for you in the Current Index to Legal Periodicals. Started back in the '40s, the Current Index editors read every issue of every print journal put out by American law schools (and many of the non-law school affiliated law journals as well) and sort articles into specific areas of law. At the end of every week, we send out the new issue of the index to our subscribers. You can even receive an email with only the new articles in your subject area. Here is a list of all of the Current Index subject headings. To find the last six issues of the Current Index, including the October 18, 2013 issue, you need only to go to the WebCILP page after entering your NetID. To receive an email every week with new articles in your areas of interest, you need to sign up for a SmartCILP account. 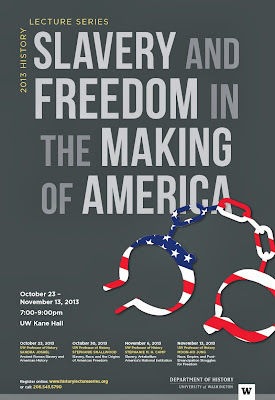 This service is available to all current students, faculty, and staff of the UW School of Law. Please contact cilptech@u.washington.edu for an authorization code and go to the SmartCILP page to sign up. Not part of the UW law community but still interested in subscribing to the Current Index to Legal Periodicals? You can find pricing and subscription information on the Current Index webpage. Lawyers, law professors, and judges have been griping about law reviews for decades: they aren't practical, they aren't interesting, they aren't well written. And they're edited by mere students. An article by Adam Liptak recounts the criticisms: Law Scholarship’s Lackluster Reviews, N.Y. Times, Oct. 21, 2013. Albert Yoon, Editorial Bias in Legal Academia, J. Legal Analysis (forthcoming), available at SSRN. And he also cites an early critique: Fred Rodell, Goodbye to Law Reviews, 23 Va. L. Rev. 38 (1936). For more on law reviews, look up this classic article on HeinOnline, click on "Articles that cite this document" and browse through the 253 articles listed. For some defenses of law reviews, see this post. How would switching from student editing to peer review or peer review with peer editing change the law review process? Here are a couple of thoughts. Typically, authors submit papers to a couple of dozen journals at a time, so multiple sets of student editors are all looking at them at once. In a peer review systems, journals would insist on papers being submitted to only one journal at a time. So a professor who is used to getting a few offers within weeks of submission might instead wait for a couple of months while the peer reviewers go over his or her paper and write critiques. The editors would then decide whether to run it as is, ask for revisions, or pass. If they pass, then the author would start the process again with another journal. So publication might be slower. The traditional model burns a lot of student hours, as they make publication decisions then gather sources, edit, and check citations. This is justified in part by the educational benefits of journal editorship. The students put great care into their work out of commitment, passion for their topics, and pride in the product. Peer review depends on having many willing faculty members to read and comment on submissions. Professors in other fields are used to this, but it hasn't been part of the culture of law schools. What would law professors give up doing in order to make time to write thoughtful critiques of strangers' papers? Peer editing requires faculty editors who will do the editorial work as a service to the profession or for a small stipend. (Some might be able to get reduced teaching loads to make time for editing duties.) If the faculty editors want to hire RAs to do the more tedious work, how much will they have to pay? Law reviews have traditionally been a bargain among scholarly publications; paying editors and assistants could drive up the price. A lot. For a wide range of information about law reviews, including the submission process, ranking, and more, see Writing for & Publishing in Law Reviews. Quite a bit, actually! Unless you're in California, Delaware or Montana. Sorry guys. For attorneys in the other lucky 47 states, state bar associations provide access to Casemaker or Fastcase or InCite! If you're curious to see which service your state bar association provides, check out this fantastic map created by J. Michael Goodson Law Library at Duke University School of Law! A screenshot of the State Bar Association - Provided Legal Research Services map. Thank you Goodson Law Library! It's not every day you come across a news article that affords you an opportunity to blog about an art exhibit featuring pigeons smuggling Cuban cigars, how to research trade relations between the United States and Cuba and to comment on the end of the government shutdown in one fell swoop. TGIT, indeed. Brooklyn artist Duke Riley's exhibition "Trading With the Enemy" showcases his years-long project to train homing pigeons to fly from Havana to Key West, Florida. Apparently, as Mr. Riley explains it, some of the pigeons smuggled Cuban cigars to the United States while the others were outfitted with special cameras to document the experience, all of which were fastened by "bright bra straps with adorably embroidered smuggling pockets..."
Is this legal? Does the United States' trade embargo with Cuba have anything to do with this pigeon art? These are excellent questions. There are are number of resources in the law library and beyond that can help you research these issues. You might start by researching the state of trade relations between the United States and Cuba on the United States Treasury Department's website and reading President Obama's continuation of the Trading With the Enemy Act relating to Cuba. And, you won't even have to use the Wayback Machine because the government shutdown has (finally) ended! 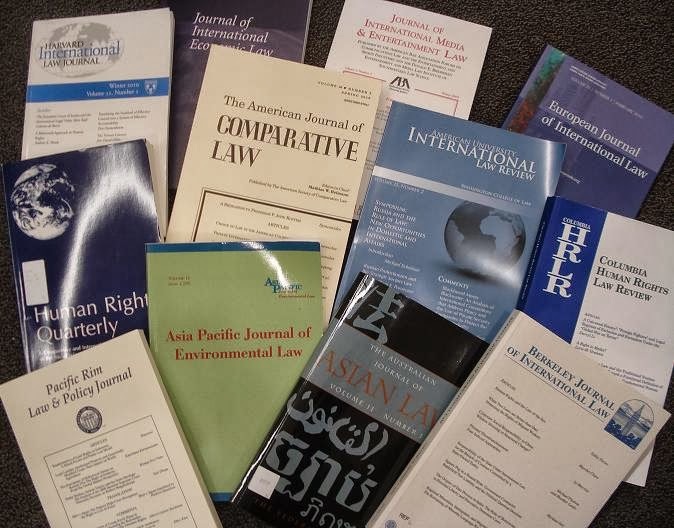 Law students and faculty at the UW School of Law also have access to BNA materials, including the International Trade Reporter via the law library's website under "Selected Databases." Try running a search for Cuba and see what you can learn. You can click right in to BNA, but be sure to log in via the off-campus access link on the top right corner of the page if you are not on campus when you are doing this fascinating research. And don't forget about the Foreign Law Guide, also accessible from "Selected Databases" on the library's website for information about the Cuban legal system generally and trade with the United States. Screening of Hannah Arendt, 7 pm, Oct. 22, 2013. 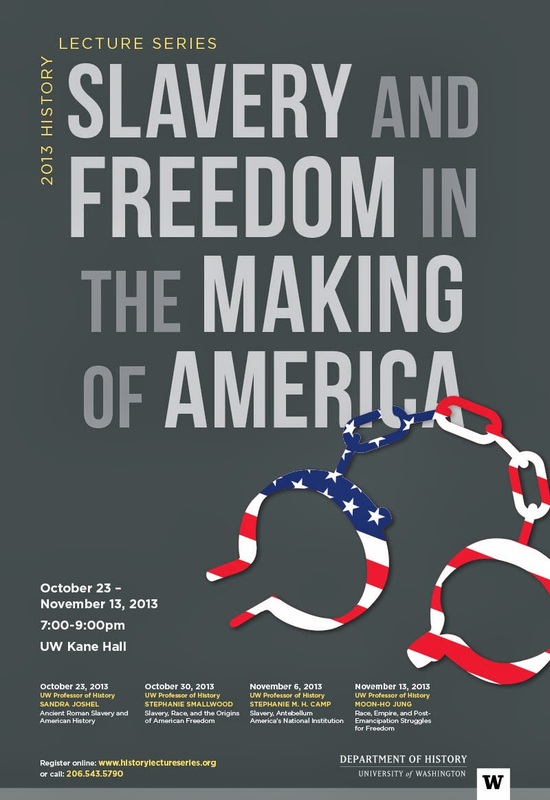 The 2013 Walker Ames Lecture: Seyla Benhabib, Eichmann in Jerusalem: 50 Years Later, Oct. 24, 6:30. See Why Do Hannah Arendt's Ideas About Evil and the Holocaust Still Matter? An Interview with Prof. Michael Rosenthal, Stroum Jewish Studies Program, written interview posted Oct. 12, 2013. UW Drama's production of The Real Inspector Hound, by Tom Stoppard, Oct. 16-27. A good farce might be just what you need. Looking for government reports in all the wrong places? Clicking on links only to get a "sorry, we're closed" message? Some government websites are accessible even if they are not being updated. But other agency websites are dark. So what's a researcher to do? First – and always foremost – ask a librarian. AskUs, or, if you are a remote blog reader, ask your local law, academic, or public librarian for help. Depending on your research needs, librarians can suggest print (gasp!) or commercial online sources if available. Second, check the Internet Archive. You can try the Wayback Machine directly, if you have a URL, but several agency websites were captured just before the shutdown. Some features of the site won't work, but you might be able to find what you need. For example, if you are looking for the latest Hart-Scott-Rodino Annual Report, you won't be able to access it from the Federal Trade Commission's site. Nor will the Government Printing Office’s PURL work, since in this case the PURL points to the FTC. But the FTC is on the list of sites grabbed by the Internet Archive (tip: click on the agency logo, not the .gov URL). The FTC site search feature doesn't work, looking around, you can find the Hart-Scott-Rodino annual report – and many others – under the "policy" tab. Agency publications may not be obviously noted. Look for "library," "documents," "news," "press," or "reading room." Besides the FTC site, the Internet Archive has the FCC, NOAA, USDA, USITC, and more.